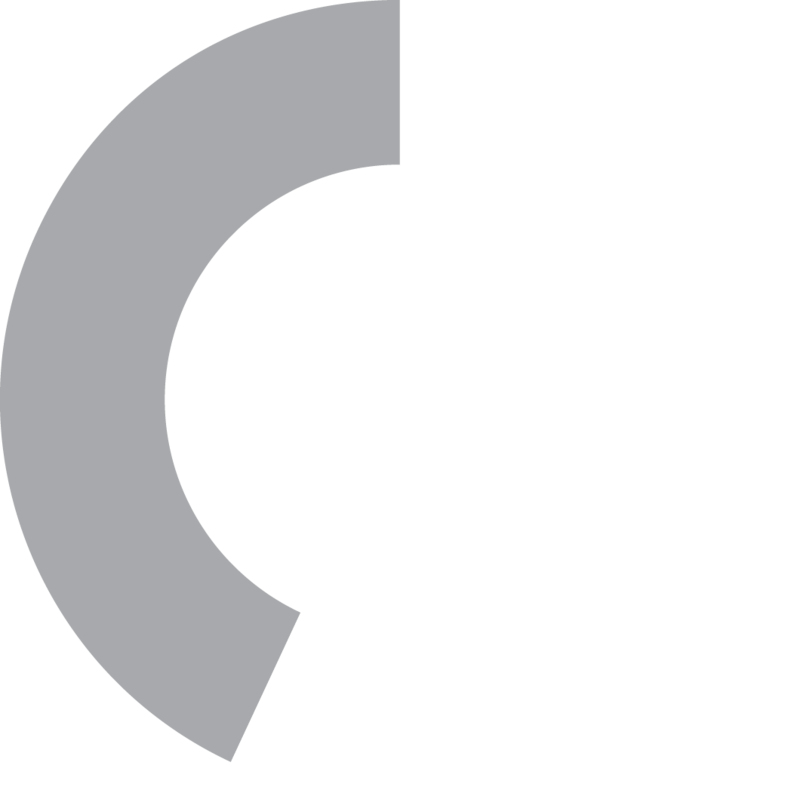 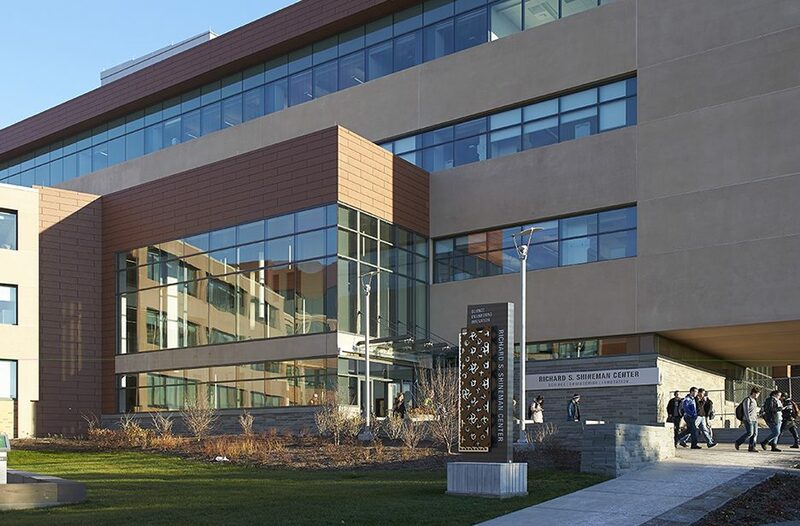 The president of SUNY Oswego became one of the original signatories of the American College & University Presidents’ Climate Commitment, vowing to reduce the campus’s carbon emission by 40% by 2020. 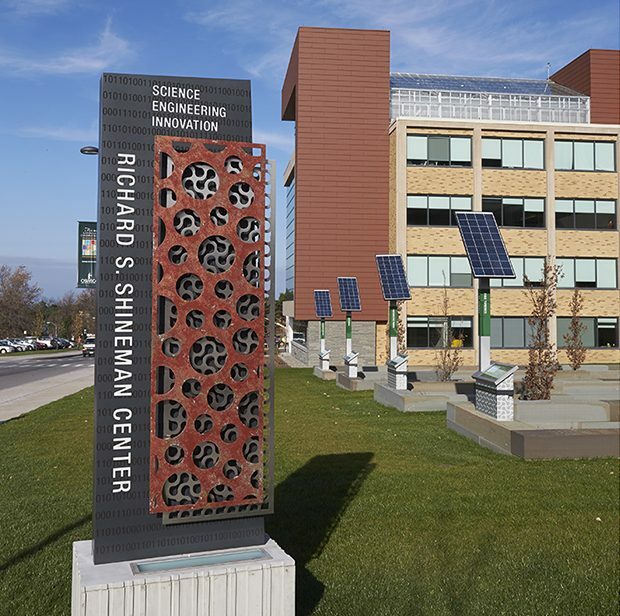 The Richard S. Shineman Center for Science, Engineering and Innovation was designed not only to meet this goal, but exceed this commitment and create a new identity for science learning at the university. 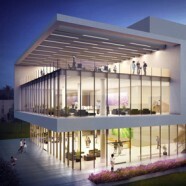 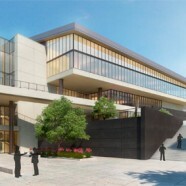 Formed by the renovation and expansion of an existing science building and the demolition of another, the center gives the university’s science programs new life with interdisciplinary learning and sustainable features that echo the learning taking place inside. 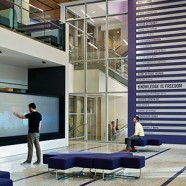 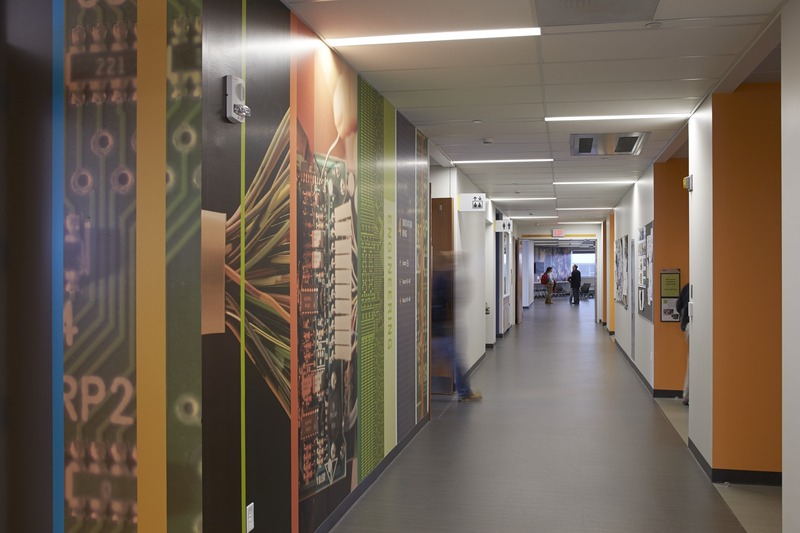 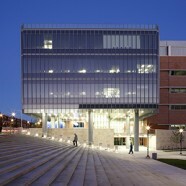 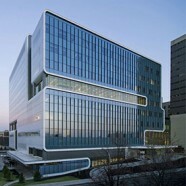 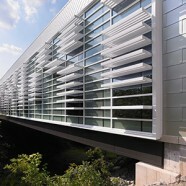 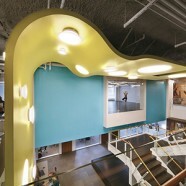 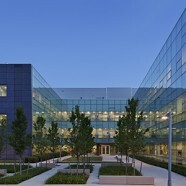 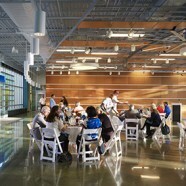 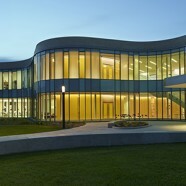 The building’s design took inspiration from the program within its walls, physically expressing aspects of science throughout. With science always on display, it acts as a model for science education with photovoltaic arrays and wind turbines for study, along with compelling environmental graphics. 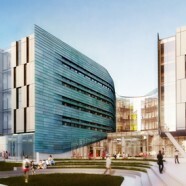 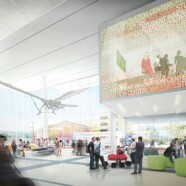 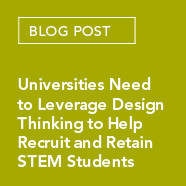 The design facilitates knowledge-sharing, interaction, and discussion intrinsic to scientific discovery by including faculty and student lounges, casual seating areas and a large atrium showcasing the sciences to the public. 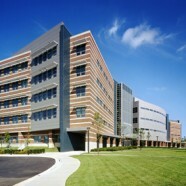 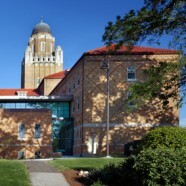 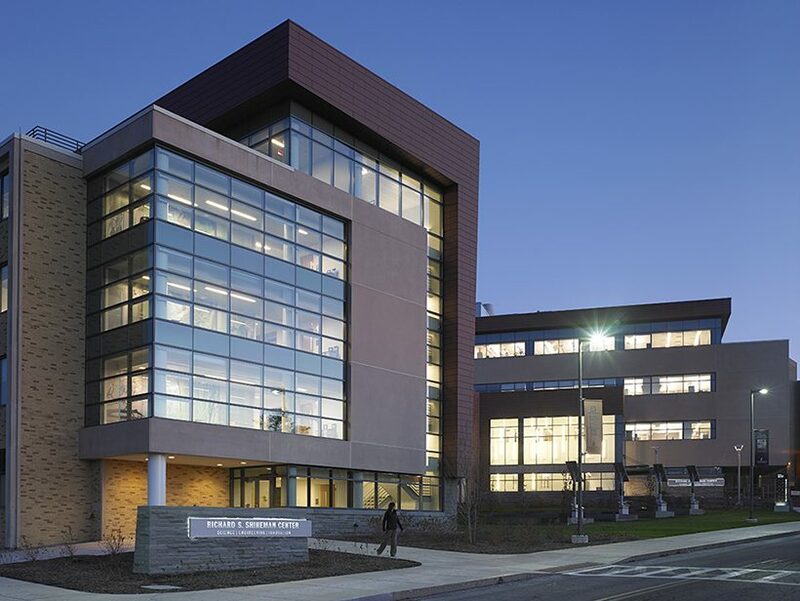 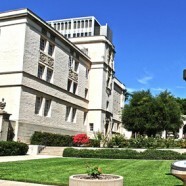 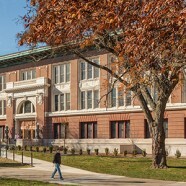 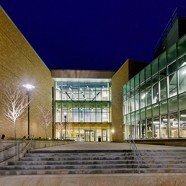 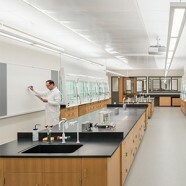 State-of-the-art classrooms, teaching and research laboratories, and interdisciplinary interaction spaces are put to use by the college’s biology, chemistry, earth science, mathematics, physics, computer science, and electrical engineering departments. 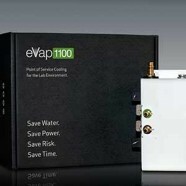 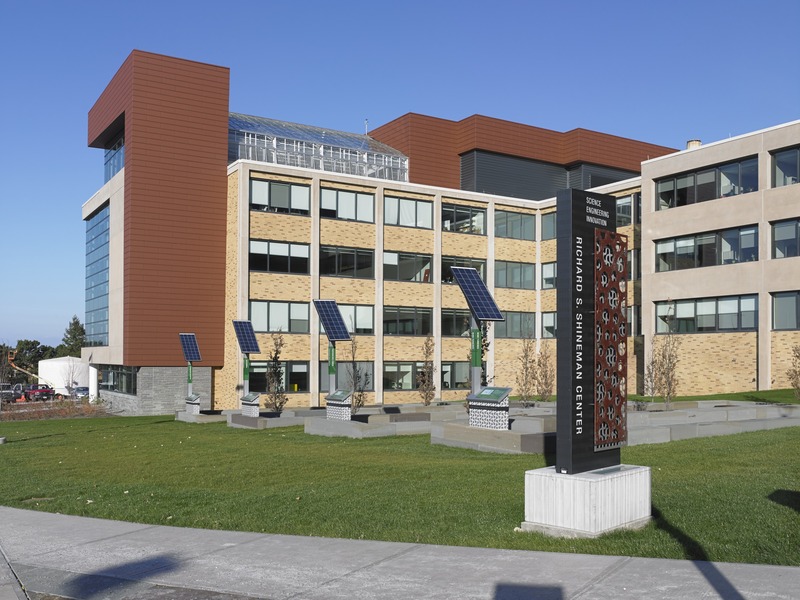 A major step toward meeting its climate commitment was the addition of a geothermal heat pump system. 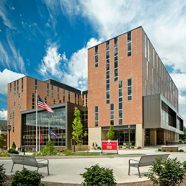 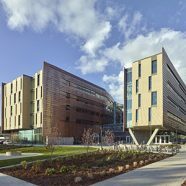 The system uses 252 bore holes stretching 499-feet under an adjacent parking lot to transfer heat between the building and the earth, minimizing reliance on the campus’s steam supply and reducing the building’s carbon emissions by 200 metric tons per year. 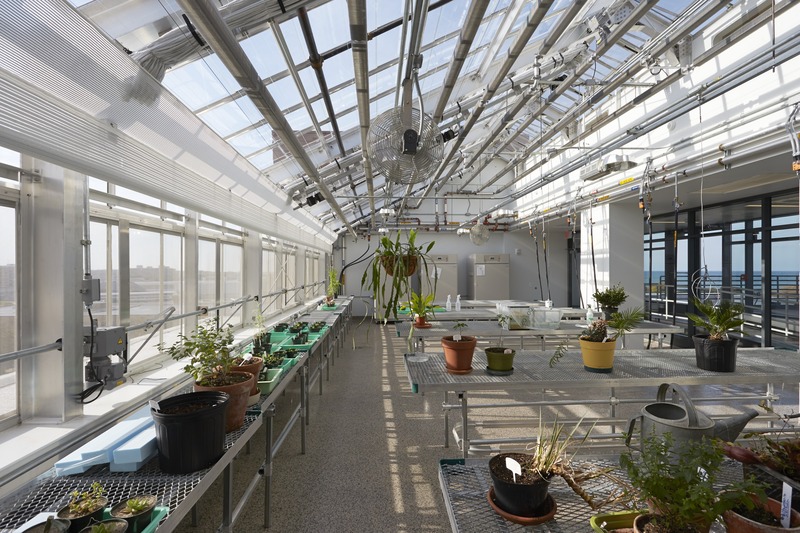 The geothermal system reduces energy consumption by 57% annually compared to existing campus buildings.